Lostpedia Blog: Lostpedia Book Club - "Carrie" is our first book! Again, a big thanks to everyone showing interest and also signing up on Forums, etc etc. After quite a wait I decided, while Lostpedia wiki is down (it'll be back up soon folks! 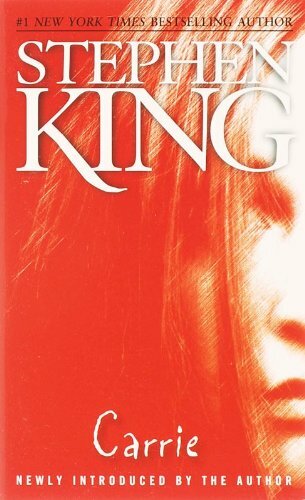 ), that I should officially give notice about our first read - which as I alluded to in a previous post will be "Carrie" by Stephen King. Now the plan is that the reading will commence Saturday August 2nd - Saturday August 23rd, and on the latter date there will be a live discussion in Lostpedia IRC Chat (exact times I'll let you know but most likely 2pm EST so 6pm GMT, similar to how debate league is run on Sundays). Anyway, you can also during the entire read through time discuss the book on Lostpedia Forums here, and utilize IRC Chat for informal discussion (though that channel is for all Lostpedia conversations, not just the book club). Official reading as I say won't commence until August 2nd, but of course I'm telling the info now so people have some degree of notice to obtain the book (I'm sorry it is quite short notice for this one). If you want to start reading early, go for it, but just remember forums won't open to discussion until we're in the official time frame. On August 2nd, I will post a reminder of the start, and also reveal September's book then (so a month's warning!). Vote for what should be September's book here. Following that, I will reveal book titles a month in advance at the end of live discussions (and then post it on the blog for those who missed it a week later at the start of the next read). So, in more simple terms, on August 23rd I'll tell you what October's book will be and then post it on the blog when I announce September's official read start, and so forth (and if that made sense to you, you're a very good reader already). Basically, just stay in touch and we'll see you right! Okay, so we begin on August 2nd! Now is the time to start thinking about finding your copy of Carrie. If you'd like to borrow the book from a library and live in the USA, you can follow this handy link to locate your nearest public library. Alternatively, if you'd like to get yourself your own copy to keep, here's a link to Amazon (the $7.99 price seems to be pretty standard). International readers I'm sure can use their local versions of Amazon and stuff too, if you decide you want to buy instead of borrow from a library. Whatever your method, happy hunting and watch this space for the official start a week on Saturday!